Learn techniques for safely hunting and gathering in the aquatic environment! 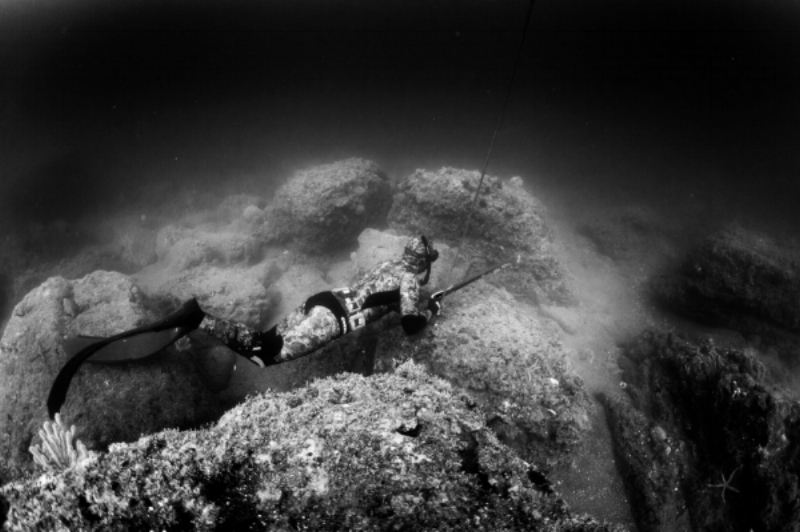 This is course for certified freedivers (PFI Freediver level or higher or equivalent other agency certification) wishing to learn the fundamentals of proper breath-hold spearfishing to increase techniques, safety & awareness, and enjoyment. The maximum depth of this course is 20m/66’. The schedule and layout/order of these sessions vary slightly by location. The program is typically run over 1 to 2 days depending on the location of your course. There are many skills which will be practiced repeatedly, simulated, and taught throughout the duration of every course. It should be noted that to pass course, a student must complete all the classroom sessions as well as the pool and ocean sessions. In accordance with participation, a student will receive a certificate based on the skills and objectives they complete. There are pool and ocean qualifications to pass in each PFI course. Demonstrate a 10m/33’ dive with a 30 second hang.